Before this current age of broadcasting acquisitions and mergers, local TV stations were owned by the broadcasters, not investment firms. They lived to tell the stories of their communities. 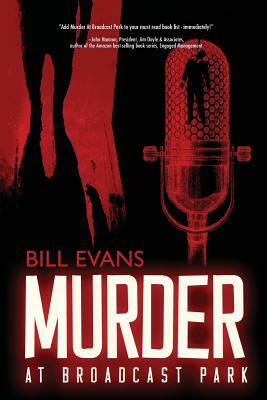 In Murder at Broadcast Park, the CBS station located in the rich resort town of Santa Barbara becomes it's own story. "We never want to be our own news," was the mandate from Barry Burke, the station's news director. Except in this case, people are dying. With three murders, more affairs, but no suspects, investigators peer behind the scenes of the local news. Pull the veil off to find twists, turns, and secrets behind the scenes of this resort TV station and its cast of TV professionals. Nothing is off limits.